Green Crack, Blue Dream, Trainwreck & More! The Best NoCal Strains Are Finally Within Reach! Stop drooling & start ordering. With the absolute best NoCal weed seeds just a finger twitch away, you have no excuse not to get a set of these beans for your very own. They're amazing. They're fabulous. They're stupendous! In other words, Humboldt Seeds only makes the good sh*t! 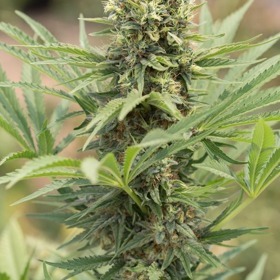 Go Big, Go Organic, Go Humboldt Seeds - Get Yours Today! The Best Prices on the Web! Powerful Head Highs with Staying Power! Humboldt's improved Headband is a real killer with up to 23% THC & invigorating highs that go on & on & on. You'll love this Mendocino X True OG cross! True Potency - 23% THC! 707 Truthband is too strong for most, and that's no lie! This 70% Indica boasts a full 23% THC for tolerance-busting mental & physical highs that'll blow your mind. We kid you not! Top Potency Level - 27.1% THC! Look far, look wide, look long - we dare you to find a more potent Sativa than Amherst Sour Diesel. And, get this - she's extract-friendly too. That's totally insane! 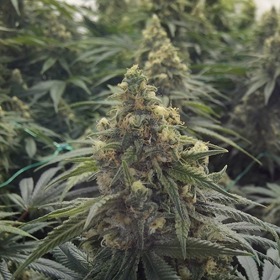 True Haze Highs - 70 Days! Blue Dream Auto pumps out 3 oz/seed or more in just 70 days from the start. 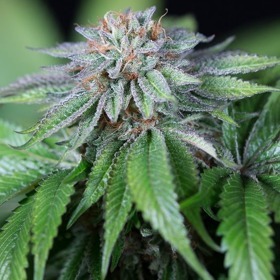 Crisp, clear, social and happy - what more could you ask for in a cannabis seed? Citrus, Sweet Fruit, Cedar & Haze! Can Get Over 13 Feet Tall - 141 oz/seed! Blueberry Headband is a real monster with gargantuan yields! Inside, train without mercy, but outside, let this towering beast rise to her full height for maximum results. For a true heavyweight, go with Bubba Kush Seeds! This pure Indica has a near-narcotic stone that's extremely strong & long lasting thanks to a 24% THC level! Small & Compact, But Extra Strong! With a full 24% THC, this shorty is packing some serious heat! Bubba Kush 2.0 is an improved version of an American classic with pure Indica stones & a buttload of resin. A Fully Autoflowering Pre-98 Bubba Kush - 21% THC! When you need power & you need it yesterday, go with Humboldt's Auto Bubba Kush! 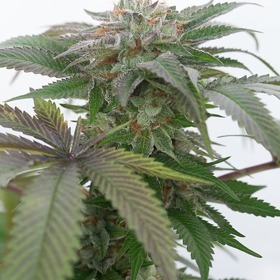 This impressive choice will give you maximum potency in just 65 days from seed! 85% Indica, 15% Sativa, Couchlocking! <50 Days, 80% Indica, 20% THC! This Bubba Kush X God's Gift cross is a superior Indica with rewarding yields, satisfying power & a finish so fast it'll make your head spin. How's under 7 weeks sound? 15 oz/yd2 Inside - 106 oz/seed Outside! Dank, Dark & Dangerous - 26% THC! Chocolate Mint OG doesn't just taste & smell great, she's got some serious potency thanks to an over-the-top 26% THC level. If you want power, she's got it! Infused with the essences of fruit and oil, Dedoverde Haze is a delicious blend of California Haze & Amnesia with enduring highs that'll leave you feeling happy & energized. A Mental Oasis with 20% THC! Down in the dumps? Give Desert Diesel a try! This is an uplifting Sativa with plenty of oomph that's guaranteed to plaster a happy grin on your mug for the rest of the day. Enjoy! Humboldt Seed Organization is very proud to present this collaboration with Dr Greenthumb - B Real of Cypress Hill! B Real´s friend and in house Cypress Hill breeder Keif Sweat has created this cross. Unique Savory Flavour & Aroma! 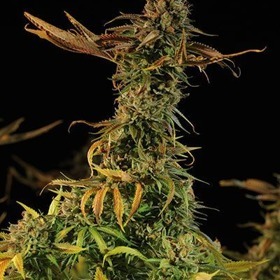 Humboldt Seeds concentrated True OG over six generations until they turned it into the super-potent, lemon-garlic flavoured masterpiece that is Lemon Garlic OG. Get some! 40% Sativa, 60% Indica, 20% THC! Jack Herer Genetics - 65 Days! 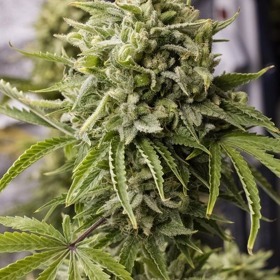 Both Jack Herer & classic Haze are truly magnificent, but they do take some time. Skip the endless wait with this Humboldt Automatic & be done in 65 days from seed! Lemon & Diesel Fuel Always Hits the Spot! If Lemon Kush Headband's flavour & aroma don't satisfy your cravings, her 23% THC level certainly will. This is a potent, long-lasting Sativa with one helluva kick! Owning a Pack of Humboldt Seeds is the Next Best Thing to Being There! 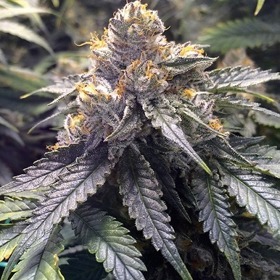 NoCal genetics are legendary, highly sought-after and, until now, hard to find. Rhino Seeds is proud to announce that Humboldt Seeds is now part of our family and you know what that means! You'll get the absolute best prices on the absolute best strains on the planet when you shop here. Don't forget - The Rhino's giving away 20% off every cash order for a limited time! Great Prices, Fast Delivery, Awesome Service! If you've never heard of the Humboldt Seeds Organization, it's about time you crawl out from under that rock you've been hiding under for the last decade. 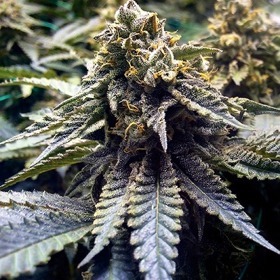 This breeder has cornered the market on a wide variety of incredibly popular cannabis seeds like the one & only Chemdawg, the incredibly dank OG Kush & the super tasty Sour Blueberry. Mouth watering doesn't even begin to describe these killer beans! Humboldt Seeds is committed to using a 100% breeding program that's sustainable, genetically diverse & environmentally friendly, but they have given one very important nod to the modern cannabis seed industry. They are one of the few American brands that supplies the global marketplace with 100% feminized seeds, the perfect choice for non breeders. Order yours today! Grab Your Genuine Humboldt Seeds Today - No One's Cheaper than Rhino Seeds!